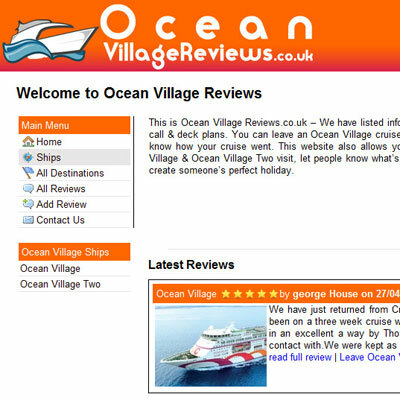 Ocean Village Reviews is a cruise and port review site. You are taken on a journey of what each cruise ship contains and the type of experience you are to expect. Customers can review the ship, the cruise and all the ports they visited allowing you to find what you want to know very quickly.